display. Allowing control of heating and hot water through the Vaillant vSMART™ app. What is the guarantee period on the vSMART™? What do you mean by self learning? vSMART™ learns from its environment. It uses the weather information from the internet and also all the data that has been previously recorded to understand the thermal behaviour of the house. Two weeks after the commissioning and thanks to eBUS communication, vSMART™ is able to ask the boiler when and at which temperature to start to reach the right set-point at the right time. Where can I download the vSMART™ app? The Vaillant vSMART™ app is available for both Android and Apple devices. 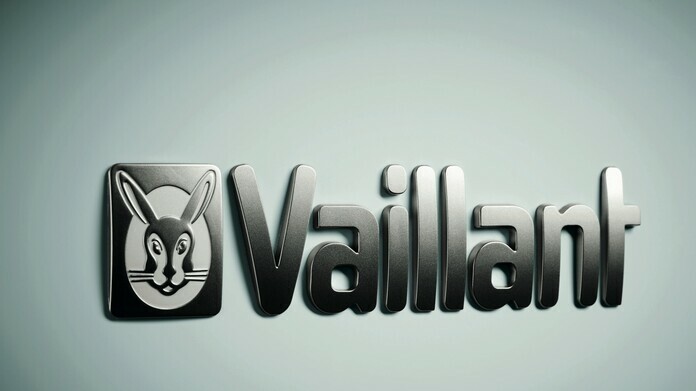 You can download the app by clicking this link on your mobile device, or you can search "Vaillant vSMART™ in the Apple store or Google Play. How can I connect my mobile device? Step 1 – Activate your mobile device’s Bluetooth connection. Step 2 – Press and hold the Bluetooth button/comfort safety mode button on the communication unit for at least five seconds. The Status LED will then flash blue. Step 3 – Implement the WLAN settings using the app. Follow the instructions in the app to do so. NOTE: For security reasons, only connect the product to an encrypted WLAN. Wi-FI protected set up (WPS) is not supported. How do I change my desired temperature? Use the + and – buttons to adjust the set target temperature on the thermostat display. What frequency does the vSMART™ communciate on? The vSMART™ uses 868MHz transmission frequency between the thermostat and the communication unit. What is the maximum range of the wireless signal? 100m maximum free field range, ≈ 25m maximum range in a building. Does the thermostat need to be wall mounted? The vSMART™ comes with the option to wall mount the control or can be free standing depending on the homeowners preference. What are the benefits of an electronic ink display? Electronic ink display reflects light in a similar way to conventional paper. The electronic energy required to display the data is used only for changing the data on the display, saving energy. What batteries supply power to the thermostat? What do these symbols on my thermostat mean? There's a fault code appearing on my unit, what does this mean?